Advances in Quantum Chemistry presents surveys of current topics in this rapidly developing field that has emerged at the cross section of the historically established areas of mathematics, physics, chemistry, and biology. It features detailed reviews written by leading international researchers. This series provides a one-stop resource for following progress in this interdisciplinary area. 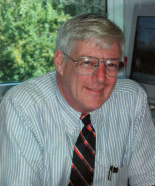 John R. Sabin is Professor of Physics and Chemistry Emeritus at the University of Florida, and Adjungeret Professor at the University of Southern Denmark. He received the AB degree from Williams College in 1962 and the PhD from the University of New Hampshire in 1966. Thereafter he was a postdoctoral student at Uppsala University and at Northwestern University. He was Assistant Professor at the University of Missouri for three years (1968-1971) and then came to the University of Florida where he has been since. Sabin’s research interest is in the theoretical description of the interaction of fast charged baryon projectiles with atomic and molecular targets, both as neutrals and ions. In this work, he uses molecular quantum mechanics to describe such interactions. In particular, he is interested in the mechanism of absorption of the projectile’s mechanical energy by the target, where it is mostly converted to electronic energy, which is measured by the target’s mean excitation energy. He has written some 250 articles in this and related fields. Sabin is editor of Advances in Quantum Chemistry and has been editor of the International Journal of Quantum Chemistry. He has edited some 90 volumes and proceedings. Erkki Brändas was born in Tampere, Finland in July1940 and was, as a Finnish war child, transported to Sweden in February 1942, finally adopted by his Swedish parents and given Swedish citizenship in 1947. He received his FL (PhD) in 1969 and Doctor of Philosophy (habilitation) in 1972, both at Uppsala University. Except for guest professorships in USA, Germany, Israel, he spent his professional career in Uppsala employed as Assistant- Associate- and Full Professor from 1975 until retirement in 2007. In addition to serving as chairman of the department of Quantum Chemistry, he was appointed Executive Director of the Uppsala Graduate School Advanced Instrumentation and Measurement supervising the doctoral education of 35 PhD’s from 1997-2007. He has served on various international scientific and editorial boards, e.g. 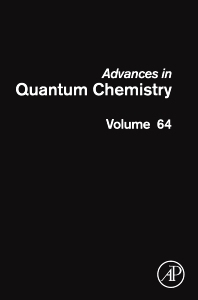 Wiley, Elsevier and Springer including the service as Editor-in-Chief for the International Journal of Quantum Chemistry, Series Editor of the Advances in Quantum Chemistry. He is the current President of the International Society for Theoretical Chemical Physics, since 15 years, chairing a variety of international congresses and other numerous meetings, schools and workshops. He has published over 260 articles and edited more than 50 books on fundamental theoretical chemical physics from research on atoms, molecules and solid-state physics to complex enough systems in biology – from the microscopic realm to the cosmological rank.